I’m really excited to have Siddharth (Sid) Ramesh on this week’s show. His career is on a meteoric rise – he’s nominated for a SIG Future of Sourcing Rising Star Award – and he’s a trusted source for everything related to procurement. In addition to being super smart he’s really nice – definitely one of the good guys. Sid’s sharing a lot of great insights into technology’s role in negotiations and sourcing. Sid talks about supplier negotiations in the technology space including the myth about having to be the tough guy. He shares insights on the unequivocal need for planning and having the confidence to appreciate the need for continuous learning and training. 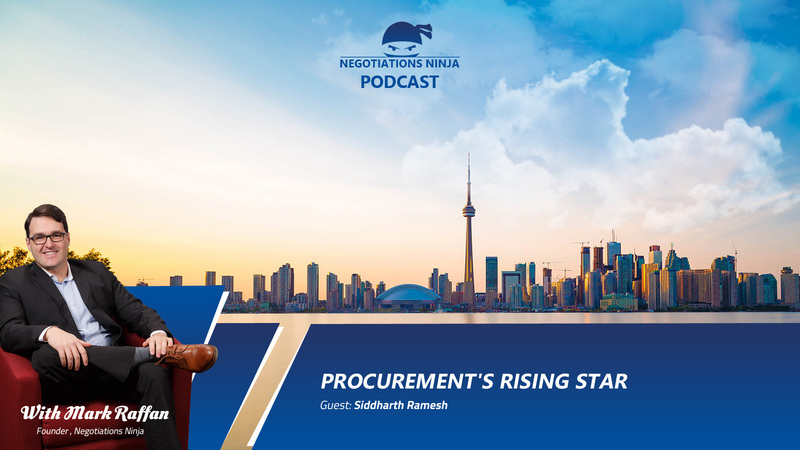 My prediction – Siddharth Ramesh is going to be the next big thing when it comes to procurement and sourcing.